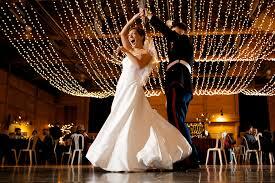 A wedding DJ specialist must be 100% reliable and dependable for his client’s peace of mind. A wedding DJ specialist must be able to serve comfortably as the Master of Ceremonies on whatever level each customer wishes. A wedding DJ specialist must be able to coordinate and communicate with the other vendors such as caterers, photographers and wedding directors to produce a smooth, stress-free event for each client. 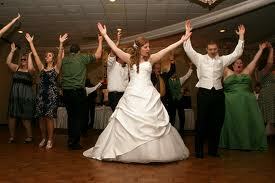 A wedding DJ must be able to offer his client advice. We present innovative ideas concerning the special events during a reception including the individual dances, introductions, announcements, toasts, cake cutting, garter and bouquet tosses. A wedding DJ must know how to adjust and coordinate on the fly when unforeseen circumstances arise to avoid possible catastrophes during your day. A wedding DJ specialist must have a broad variety of music to satisfy the wide range of guests and their musical tastes. The DJ must know what to play to not only get your guests dancing and create an atmosphere that will in turn create memories. A wedding DJ specialist must have the dedication to devote personalized attention to each event and be willing to take the time to consult personally with each client at the customer’s convenience. A wedding DJ must be able to maintain and update individual files on each client detailing their particular wishes to provide a unique wedding day. A wedding DJ specialist is an acoustical expert, a live sound technician, an electrician, a board operator, a roadie, an engineer, an announcer, a dancer, a designer, a comedian, a storyteller, an actor, a motivator coordinator, a facilitator, a confidant, a cheerleader and an advocate. DJ/MC/VJ Terry Tunks and his talented team of entertainers have entertained at any thousands of events over the years. Evansville, Indiana, Newburgh, Indiana, Owensboro, KY and all across Southern Indiana and Kentucky. In towns like JASPER, FERDINAND, NEW HARMONY, FRENCH LICK, WEST BADEN, HUNTINGBURG, AND SANTA CLAUS, IN. Based at one time in Louisville, KY As a result of sponsorship of Coca – Cola. SPECTRUM SOUND is just as comfortable entertaining small groups at a casual affair to 18,000 at the THUNDER OVER LOUISVILLE DERBY CELEBRATION.